The U of T Hart House Open was a big success. 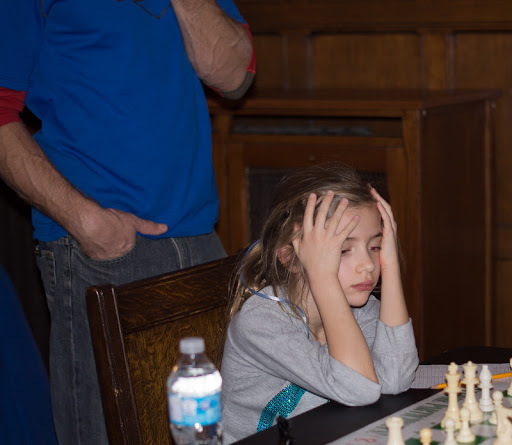 See HHchess UToronto. Great photos from HH albums. Games coming later. Great photos by Egidijus Zeromskis from HH albums. 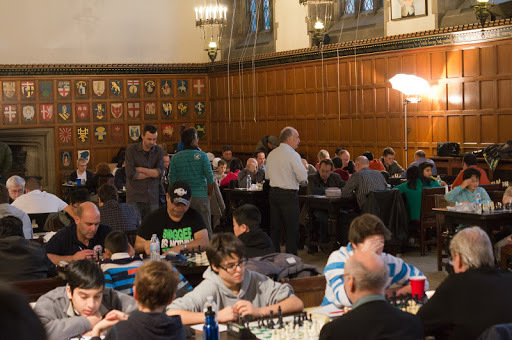 185 players competed, which is a record for us at Hart House. This includes the recently past Labour Day, and according to Bryan Lamb, we would have to go back about 10-12 years for a higher turn-out. Still not quite as big as Brian Fiedler’s PwC Toronto Open (203 players?) or the Canadian Opens, but not too bad! Definitely not without its challenges, we need to evolve and adjust if we are to be able to maintain such big crowds and aim to get even more people. Most of the feedback was quite positive, and we welcome constructive criticism. Many people filled out a survey and we’ve had a couple of e-mails with ideas as well. 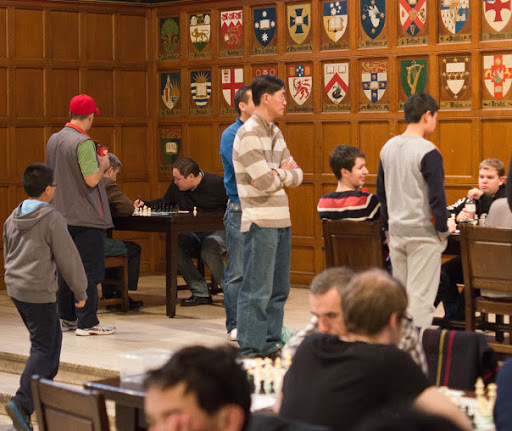 Note that at Hart House tournaments, we give free entry to those who are playing in their first ever CFC tournament. It can be a turn-off paying an entry fee as well as membership dues to those starting out. 15 people took advantage of this, welcome to the tournament scene! Bryan Lamb, great as always, Geordie Derraugh, superb in all fronts while also playing (! 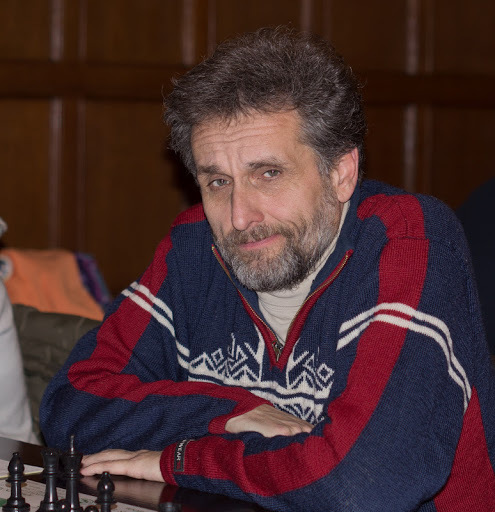 ), and myself, take much of the credit by being in the spotlight at the tournaments. However there are a million little things that we needed help with, and I’d like to give a big thanks to Leon Perelman,Chris Wehrfritz, Ben Hahn, Lali Agbabishvili, Andrew McMillan, Kit Ng, Adie Todd, Jack Ding , Tyler Longo, Day Milman & Aquino Inigo. They made the difference in making sure things ran as smoothly as they could. 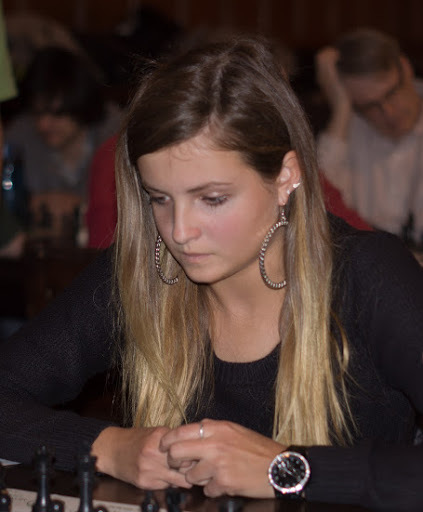 Without them the tournament would have been completely chaotic, disorganized, and unpleasant experience I am sure. Artiom Samsonkin took clear first with 4.5/5. James Fu was clear first with 4.5/5. Troy Hansen and Robert Li shared first with 4.5/5. Yanchun Zhao, Patrick L Huang and Amir Mohammad Shafiee shared first with 4.5/5. Samsonkin and Cummings share the lead with 3/3 with 2 rounds to play.